My Macworld (MWSF) 2008 Keynote Predictions. Boom! Macworld San Francisco is next week. I’ve learned from years of Apple fandom to aim for the middle with my predictions. 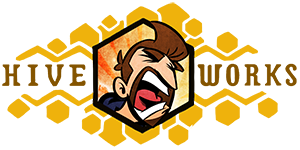 Take every rumor on the internet, rate them from 1-10 on how bad you want them, then throw out everything above a 7. Those will be saved for Xmas or next year. Updated Macbook Pro line, but not sub notebook. Maybe a 13″ Macbook sized MBP. Possibly solid state. And I think we will get a true “One more thing” this time. Something we aren’t expecting at all. Possibly a new focus for the Apple TV. Please post your predictions and speculations in the comments. 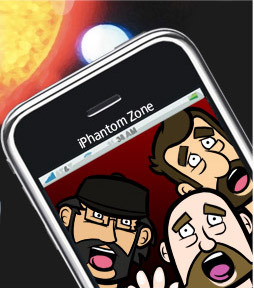 In case you missed it the first time around, here’s the “iPhantom Zone” iPhone wallpaper from this comic. 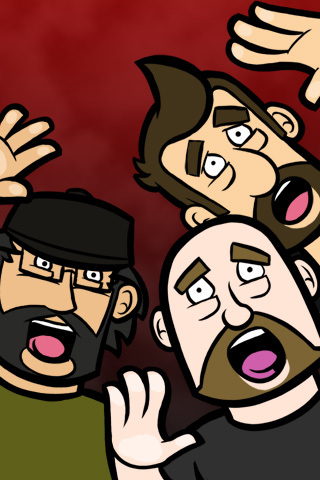 You can see it in action here, and download it by clicking the image below. Posted in Comic Blog and tagged apple, desktop, iphone, mac, macworld 2008, steve jobs. Those are good. The SDK would freakin’ rock. The sooner the better for that. They said spring, but they like to suprise. I think we see an Apple TV/MacMini combo, or maybe a Mini suited better for acting like the Apple TV. Yeah im wondering if “1 more thing” is going to be a real “take over your living room” type situation. I’d be on board. I bought a 400mhz G4 for $100 to use as a file and media sever and never did anything with it. I’d love for them to give me a plug and play solution but I know it wont support the video formats I would like it to. After the fiasco with the price drop, I dont think they would add 3G. The reason they did not add 3G was the power consumption and battery life using 3G. Siemens introduced a newer baseband chip with 3G and AGPS around Feb 2007. This newer chip also was an integration and lowers the chip count which usually lowers price of your product through smaller PCB size, one chip to mount. Siemens also may not have been able to deliver the volume of chips needed for apple to safely introduce the product in the summer of 2007. Increasing the memory to 32GB is simple especially as higher density memory becomes less expensive. Look at you, droppin’s some science on us. I heard that battery life was the main factor against early 3g adoption as well. I think Steve’s reasons for delaying products are about 20% technological limitations and 80% attitude. Thats just how he rolls. I think you're absolutely dead on accurate w/all predictions. People get crazy with the predictions and we typically get something for reasonable like your predictions when all is said and done. Let’s just say I remember waiting for the iPhone for like 2 years before it was announced. Steve is extremely calculated and precise with these product releases. I’ll be surprised if the only new iPhone that comes out this year is just with a bigger hard drive. It may not be announced at Macworld, but I’d expect a 3G iPhone at some point this year. However, a larger hard drive and 3G won’t be enough for most people to go from the iPhone to the iPhone 2; what would really make the difference would GPS and/or Flash support and/or corporate email support. As someone who works in the wireless industry, I know a lot of business folk who’d like to use the iPhone but can’t simply because Apple has chosen not to support their email servers. Ah, speculation. It’s like blue balls, only there’s usually not much you can do about it if you’re let down.